What is the quality of the plans available from Plans for U? We supply the plans based on their original printed format, and although we make every effort to provide you with the highest quality plans, the quality of the plans we provide you will reflect the quality of the original publication. When ordering your plans, as soon as we have received payment confirmation from PayPal, you will get an email from Plans for U which includes a link to your plans for immediate download. Access to plans is available for 7 days after purchase. Your access expires after 7 days. I’ve ordered my plans – how do I download them? Once you’ve placed your order and payment has been confirmed by Plans for U, you will be sent an email with links to the plans you’ve ordered. WE RECOMMEND that BEFORE you commence DOWNLOADS, install a Download Accelerator Manager (eg. DAP available free on the net.) This will make your download faster, and ensures that the files are not corrupted. (GOOGLE: Download Accelerator Program) THIS IS ESSENTIAL, EVEN IF YOU HAVE A HIGH SPEED INTERNET SERVICE. ok, I’ve downloaded the files – how do I view them? You will need an UNZIP facility, which are freely available on the internet (eg. “WIN ZIP” or “PK UNZIP”) to be able to access the contents of the file. You’ll then need Adobe Reader to view the files. 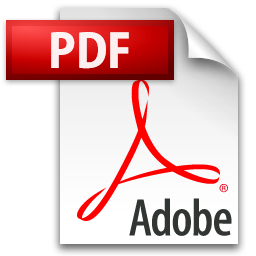 Invented by Adobe Systems and perfected over 15 years, Portable Document Format (PDF) lets you capture and view robust information — from almost any application, on any computer system — and share it with virtually anyone, anywhere. Individuals, businesses, and government agencies around the world trust and rely on PDF to communicate their ideas and vision. Now an open standard — PDF is now a formal open standard known as ISO 32000. Maintained by the International Organization for Standardization, ISO 32000 will continue to be developed with the objective of protecting the integrity and longevity of PDF, providing an open standard for the more than one billion PDF files in existence today. Multiplatform — PDF files are viewable and printable on virtually any platform — Mac OS, Microsoft® Windows®, UNIX®, and many mobile platforms. Trusted and reliable — More than 250 million PDF documents on the web today, along with countless PDF files in governments and businesses around the world, serve as evidence of the number of organizations that rely on PDF to capture information. You will need software like Adobe Reader in order to view and print our plans.You can download the latest version of Adobe Reader from here.